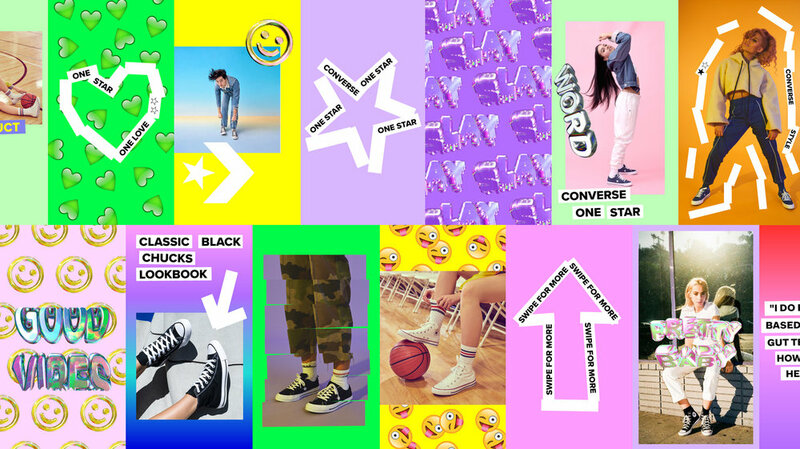 The @converse_style Instagram account is designed to show teens and young adults how to wear their Chuck Taylors and One Stars - it’s like the main Converse channel’s cooler younger sister. As most of their audience engages more with Stories than the main feed, our brief was to design a look and feel that could support editorial and user generated content. Treating Stories as though it was a mini look-book I designed a toolkit of flexible elements to give Converse Style a vibrant and youthful tone that sits comfortably in the world of teens and young adults. The temporary nature of Stories allows Converse to be playful and expressive on this channel whilst still remaining consistent.